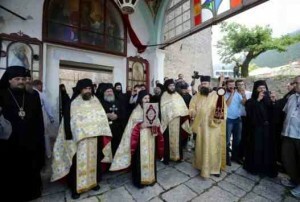 The monks living at the Holy Mount Athos have decided not to allow the participation of any political person in the festive events for the 100th anniversary celebration in the autumn of the Athos Peninsula’s attachment to Greece. The monks said they believe they are the target of ridicule for the government and aimed their complaint squarely at Deputy Prime Minister Evangelos Venizelos, the PASOK Socialist leader. There is also an ongoing dispute over taxation issues for the monastery which has a charter granting tax-free status. The government is looking for revenues everywhere during a crushing economic crisis.